For years, CUBISYSTEM is the supplier of service providers for the organization of Asian Beach Game. Asian Beach Games is a multi-sport event to be held every two years among athletes representing countries from Asia. For example, on this picture taken at the second edition which is held in OMAN in 2010. 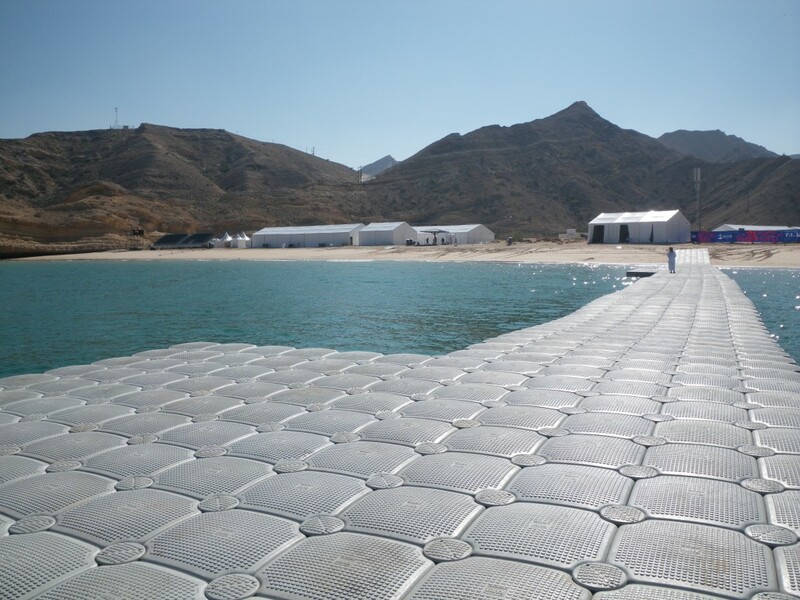 CUBISYSTEM installed a platform of 2500 modular floating docks. Our unique knowledge, competence allow us to carry out the installation of even the most diverse and ambitious projects throughout the world. All CUBISYSTEM products and services are certified and guaranteed. The entire CUBISYSTEM line is certified by BUREAU VERITAS.